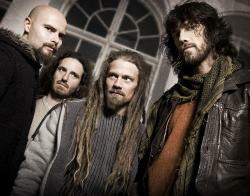 Pain of Salvation is a Swedish progressive metal/rock band led by Daniel Gildenl�w, who is the band's main songwriter, lyricist, guitarist, and vocalist. Pain of Salvation's sound is characterised by riff-oriented guitar work, a broad vocal range, oscillation between heavy and calm passages, syncopation, and polyrhythms. Thus far, every album released by the band has been a concept album. Lyrically, the band tends to address contemporary issues, such as sexuality, war, the environment, and the nature of God, humanity, and existence.